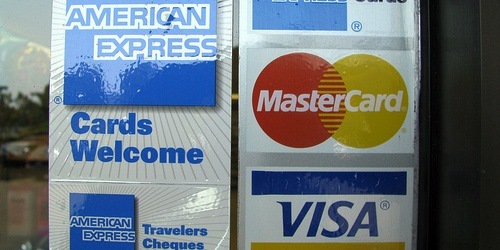 Why Aren’t Credit Cards Instantly Approved? It seems everyone wants things instantly, including approval for their newly applied for credit cards. But we aren’t always told right away if we’ve been approved or not, even if it’s a so-called pre-approved offer. While it’s frustrating not to receive the “Congratulations!” e-mail in your inbox within seconds of applying for a credit card, there are reasons why credit card issuers sometimes send the dreaded “Thanks for your application.” one instead. There are many reasons why you might not get approved instantly for a credit card, some of which I’ve listed above. Let’s talk about a few of them to understand why. If you’ve applied for a lot of credit cards lately, but still have an excellent 800 credit score, the issuer may not approve you right away. You’ll either have to wait the 7-10 business days for a response, or call them immediately via the reconsideration line. Tip: Each credit card issuer has a reconsideration phone number. Use Google to find the one you need if applicable. Anyway, you might have to explain why you want yet another credit card if you already have a bunch. I had to do this with my Discover it Miles card because I already had the regular Discover it card. Along those same lines, you might not get instantly approved if you already have the max credit limit with the issuer. A given credit card company will only provide a certain amount of aggregate credit. For example, say Chase will only provide you with $40,000 in total credit, but you already have three Chase cards totaling that amount. If you apply for a fourth Chase card, you might not be instantly approved because you’ve reached the max credit limit they’re willing to dole out. Instead of simply giving up, you can ask that they move some of your existing credit line to the newly applied for credit card. So if an existing Chase card has a $25,000 credit limit and you barely use any of it, ask for $10,000 to go to the new card. Who Are You, They Wonder? You might not be approved instantly with an issuer you’ve never done business with because of credit cards you have open with other banks. To get around this, you may have to call and speak to the issuer and explain why you want their card (so bad). Usually it just requires a friendly and professional phone call to explain yourself and you’ll be on your way. I remember shortly after I purchased a new house I applied for a credit card and didn’t get instantly approved. I was annoyed because I wanted to meet minimum spend with new furnishings and other stuff I knew would be necessary to adorn my new digs. The issue that time had to do with the address change – my credit report didn’t have any information regarding the new address so I had to explain myself to gain the approval. You could also encounter this type of delayed approval if you were recently hired at a new company and it shows up on your credit report, or if it doesn’t. The issuer will want to get the facts straight to determine an appropriate credit line. When it comes to business credit cards, it’s very common not to get instantly approved, often because individuals either get a card for their own self-employed company, or because their business credit isn’t established. Don’t be surprised if you have to call the reconsideration line to explain your business. Be prepared to answer questions such as what exactly your business is and does, how long it’s been established, and how much it makes. At the end of the day, an instant credit card approval is clearly ideal but often it just takes a single quick phone call to get approved. Sure, it may not be instant, but it’s still same day approval. So don’t be discouraged if it doesn’t happen for you. Know what action(s) to take and don’t just sit around waiting for a denial letter to show up at your door. Find the appropriate reconsideration phone number and call immediately after receiving the not-so-encouraging “Thank you.” e-mail. Often it just takes some clarification on your part to turn a suspended application into an approved one. And you may never know what could have been if you don’t take the time to plead your case. Just sitting around and hoping probably won’t get the job done. It’ll also mean less time to meet minimum spend if you delay your application any more than it needs to be. Tip: Sometimes you just won’t get approved and there’s no way around it. The Chase 5/24 rule is very rigid and difficult to circumvent.